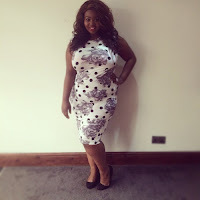 Welcome ladies, congratulations on your recent nomination for “Best New Blog” at the British Plus Size Awards. I thought I’d get you all together to have a chat about our introduction to the Blogosphere and our experiences so far. Can you all tell me your name, age, location and your blog name? 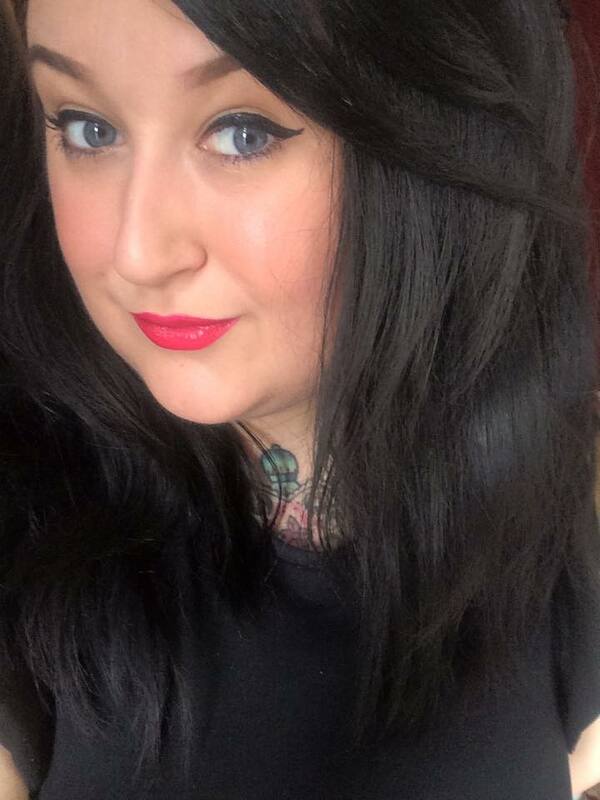 I’ll get the ball rolling; I’m Kat, 31, Croydon born, but I live in Surrey now. 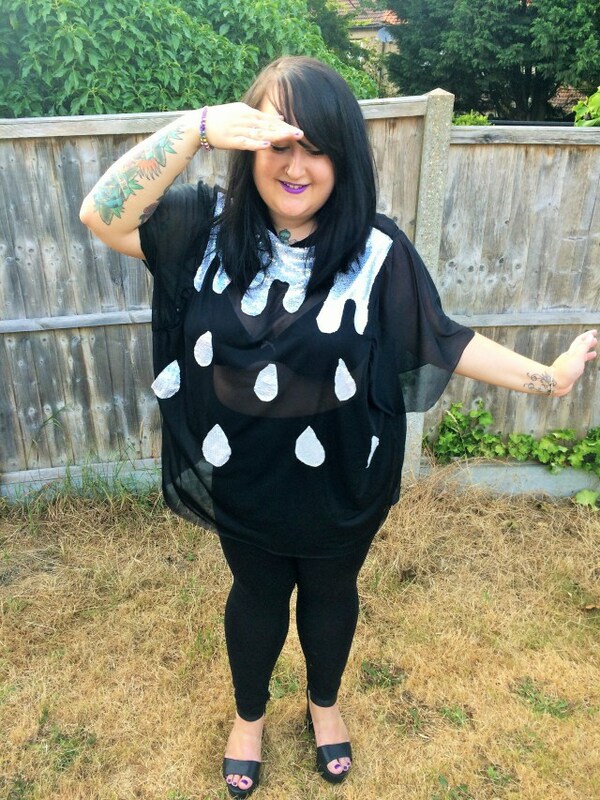 Lottie L’Amour, I’m 28, I live in London and my blog name is Lottie L’Amour! So, Paige I believe you are the baby blogger of the bunch, what was your initial reaction to finding out you had been shortlisted? I was sooo Effing shocked! I honestly didn’t think it was real. I get a fair few hits on my blog, but I barely have any regular subscribers, so I was surprised when people had actually taken the time to vote for me?! – I think my response on twitter was, “My sh*tty little blog has been nominated for a #BPSA!!! How on earth did that happen? !” – I was amazed, humbled and so proud! Hayley, what inspired you to blog? I used to read plus size fashion blogs all the time, and follow bloggers on social media. And I just got more and more interested in their body positive message. I've always loved clothes and dressing pretty and so I just thought I would add my voices to the many amazing ones already out there and talk about being fashion conscious and plus size. About accepting yourself and wanting to look gorgeous regardless. Charli you have had the pleasure of working with many brands over the last year, can you tell us a bit about that? I have been very lucky to work with several really great brands since I started blogging – it’s always exciting to get recognition for something that you work really hard at but I never expected to be sent pretty dresses or underwear to review. I did find it challenging at first though, I wanted to represent the products I’d been given in the best light but if the item didn’t fit or wasn’t great quality, well, I want my readers to know that too. I soon realised, however, that brands really appreciate that kind of constructive feedback so I really needn’t have agonised so much over those early posts! So nominations are primarily driven by the people asking friends & family to nominate them for this, did you find it awkward asking people to do that for you? <Lottie> I didn’t actually ask anyone to nominate me for the award! I put up a post asking people to nominate their faves, but that I was too young (at the time I had been blogging for all of a month!) to be nominated… and then there you go! Now I’m just asking anyone I meet to vote for me! <Charli> Not really, I mean I’m not a slave driver standing over someone’s shoulder and making them do anything. I’ve let people know I think it would be a cool thing and then it’s really just up to them if they vote or not! My family & friends are amazing; they have supported me so much through this journey. I did put a few requests on social media but I never in a million years thought that anything would come of it. I’m dead chuffed! <Paige> I did go on quite a crusade for about 1 month asking family, friend’s & co workers to vote for me… EVEN EX BOYFREINDS! Every event I was at I mentioned it, and even directed people to the page grabbed their phone and typed in #bbyou, so I didn’t find it awkward at all. I found it lush that a few of my friends & family had voted me for best blog and best model too. I thought it was totally unnecessary but felt so blessed that people even thought about me like that. <Hayley> Nah not at all. I didn’t put it on my personal Facebook or anything. I just asked specific people who I knew supported what I am doing, as well as my blog followers and it happened from there. <Lottie> My first blog post was all about my reasons why I started blogging – I basically got brave and posted a picture of me in my bikini and the response was amazing. Pair that with reading lots of blogs in the past, I just got the bug to do it I guess! <Charli> Oh god, it was awful! I have learnt so much since then – about myself and about my voice! My first post was really just about me – and my arse – and how I find it hard to find clothes that fit well whilst being fashion forward. I think my first post was one of those get to know me tag posts. Oh how times have changed! <Hayley> I wrote about the Why. Why I had decided to write this blog, and what I was hoping to achieve. I probably need to read it again to see how I am doing with my mission. Do you have a specific vibe for your blog? 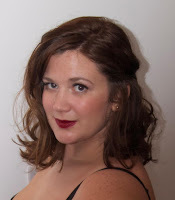 <Lottie> Yes, I want it to be a positive, honest space for plus size babes to come and see fashions, and feel inspired to be positive about their bodies. I swear a bit in my blog too, so it’s unapologetically me! <Charli> Taking my clothes off? I have a lingerie thing going on! I also get photo bombed by my dog a lot – he likes to be the centre of attention. That counts as a vibe, right? Mine is just life as I see it. I am such a mish-mash of a person with fingers in so many pies so that’s why I chose a lifestyle blog. 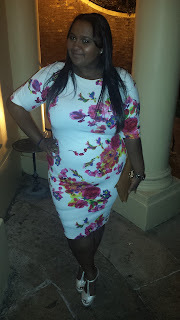 I blog about plus size fashion, beauty, food, music, wellness, family life, modelling...ah the list goes on! I’ve held a diary since I was like 9 years old, so I guess this is an extension of that! I moved with the times though – I used to have a live journal, then an MSN space and then a MySpace! I guess I was destined to blog! <Paige> My blog started off as a Fashion, beauty & lifestyle blog, as I love makeup, draw inspiration from drag queens as well as having quite a varied style due to my use of wigs and fashion. But now I consider it more of a lifestyle blog than anything else. A REAL, FRANK DISCUSSION about socio-political views on the 21st century plus size woman, With a bit of a tongue-in-cheek humorous twist. <Hayley> My blog is pretty much a body positive space where I talk about fashion, with a vintage spin. Lottie, you are quite the advocate for body positivity; that’s fantastic, is it easy to stay positive when faced with negativity? It’s tough to be positive every single day – I think we can all agree on that one! I’m typically quite stubborn, so once I got it in my head that my body is brilliant, it’s quite hard to shake it out of me. I hope that the posts I write help women who are starting on their journey to self-love to find inspiration, just like I found inspiration from the other amazing bloggers out there! It’s worth remembering that any woman can be fighting their body positive battle, regardless of what size they are. 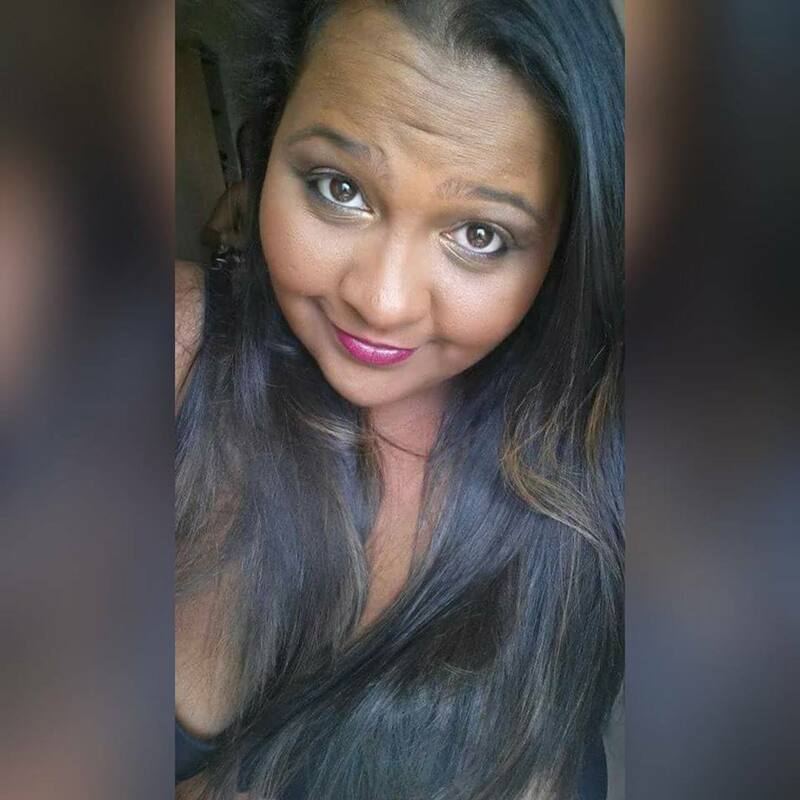 What’s your overall opinion of the plus-size community? <Lottie> Honestly? I feel like I’ve found a family. I felt pretty lonely before I found this little community, but most people are so supportive and positive – especially the babes in this category! I think the whole community still has a way to go to be fully accepting of each other, but on the whole, we rock each other’s socks! I couldn’t agree more; these women are most definitely family now. I’ve got so much love for everyone I have encountered on this roller-coaster! Not only are these women supportive but they are beautiful, with such kind hearts & impeccable fashion sense! Being both Blogger & Model, I get the best of both sides of this industry, but that also comes with struggles. I haven’t experienced any negativity towards me directly and I believe that’s because my blog radiates positivity. I spend a lot of my time bigging up other people within the industry; I feel it’s important to raise others up around you. After all we are all striving for one common goal and that is to promote the plus-size community. I have a zero tolerance policy on throwing shade! <Charli> It is so supportive! I know it’s a bit of a cliché but I have met some of the most awesome women alive and everyone just seems to accept you for what you are. There’s no real pretence or snobbery there but a ton of empowerment. <Paige> OOOOOOH!!!... This is a hard question for me…. I find the plus-size community accepting to a certain extent. I feel as I’ve there is a lot of schmoozing you have to do to get places... This is something I’ve been told from huge plus size business owners, to small-time models trying to get their big break, it’s an unspoken secret that is only ever used in “kitchen talk” – But I bring the Kitchen to the table! (Probably to my disadvantage sometimes). However on the flip side, it’s provided me with a platform to be “UNAPOLOGETICLY ME” I am who I am and nobody can discriminate me based upon size in this world. 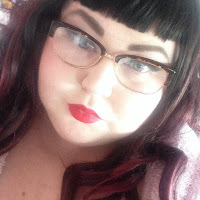 My blog talks about the Mean girl tactics used by other prolific bloggers, you-tubers, models ect… It’s a constant uphill struggle, but I’m hoping the air will be clear and pure when I breathe in at the top of the plus size mountain. <Hayley> It is a wonderfully supportive place. I always feel like it is being part of a sisterhood. It is the most inclusive and instantly accepting community I have ever been a part of. I love just being part of this community that spreads a hopeful and helpful message amidst media that can be quite oppressive in the way it judges women and their bodies. What are your blogging goals? Collaborations, Brands you want to work with? <Lottie> My biggest goal is to hear that I’ve inspired someone. I’m not in this for the free stuff or the exposure. I just want to make other women feel good about themselves the way that other blogs made me feel. Of course, if ASOS Curve, Yours Clothing or Simply Be want to get in contact, I wouldn’t say no! <Charli> Erm, that’s a tough one! I really just enjoy writing – even if it is mostly drivel! I have some exciting posts coming up with Panache to do with fuller busted sportswear - that is pretty darn exciting! I also love Curvy Kate – they are my complete idols and I’m thinking of going for Star in a Bra next year (only thinking mind). <Paige> It would be great to work with some cool new brands, I’m currently in talks with Scarlett & Jo to model for their new seasons collection, so that’s pretty exciting. I’m a part of a TV show coming out on Chanel 5 called “Supersized” and I’m getting myself out there. As for brands in particular? Simply Be, Curvy Kate, Boohoo, Evans & Yours Clothing would be absolute dreams to work & model for. <Hayley> My absolute dream would probably be to write a column, or to collaborate with a brand on designing some clothing. I would love to work with one of the vintage reproduction brands, particularly Collectif who I adore. Can you give me your top tip for any budding bloggers out there? <Lottie> Write from the heart, don’t be afraid to be yourself and write as you would speak. Take lots of pictures, get active on social media and don’t be afraid to reach out to others! <Charli> Be honest with yourself and your audience. It’s okay not to like a certain “hot”, new, plus size brand or to prefer joggings bottoms to a pretty dress – I mean, we are all individuals, right? Be true to YOU and be unashamed of who you are. People relate to realness so never be afraid to give an honest review or speak from the heart. Comment, comment, comment – share/like/love – it’s all about networking and being active on social media. I love that aspect, Lucia of U Can’t Wear That called me a “Social Media whore” (in jest) the other day at lunch and it’s so true, but I think it is key in this game. You need to have a presence and a positive one at that! 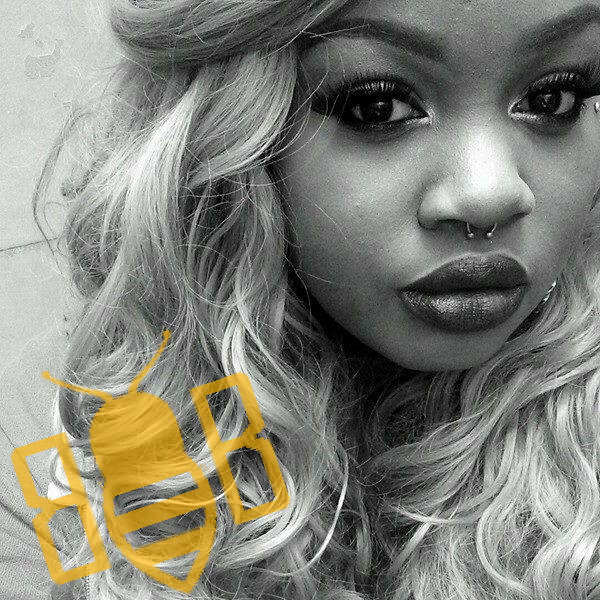 <Paige> Honesty – There’s nothing worse than reading a blog that is boring because if feels like the robotic format that everyone writes in. My blog has spelling and grammatical errors, but that’s because I like to make my readers feel like I’m having an ACTUAL conversation with them, rather than talking AT them. Another top tip would be “make yourself different”. You don’t need a fancy camera and the best lighting and filters. There not reading to see a piece of art, they are reading a piece of you. <Hayley> In the beginning doing something new is really exciting, and then after a little bit when you are not feeling super inspired or life is busy it gets hard. You just have to push on through until it becomes a habit. I found scheduling in some time for my blogging really helpful. My working life is quite busy, so I actually write a lot of my posts on my phone on the bus (having taking the pictures whenever I can find someone willing to take them) and then lay them out and proof read them usually on a Sunday evening. I also make sure I always have a note book handy - I should really make notes on my phone but in that way I am really still a paper gal - for when inspiration strikes. 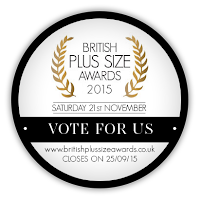 Most importantly – what are you wearing for the British Plus Size Awards on November 21st? <Lottie> I’ve been really lucky and Studio Eight (the plus size range from brand Phase Eight) have agreed to dress me for the awards! I’m excited to see what dress they can muster up for me! <Charli> Not a clue yet! Lottie & I discussed coordinating in some way, not sure if she was serious or not but I completely love that idea! <Lottie> I’m 100% up for that idea. The Studio Eight babes are coming to get you! I have a few things in the pipeline; let’s see if any of them come into fruition. I will definitely be consulting with my friends at Simply Be & my pageant Stylist – Susie Hasler of Styled by Susie. I’m on the prowl for that show-stopping, head-turning number! <Paige> PFFFFFFT! I wanna work out how I’m gunna pay my phone bill this week! Never mind a dress!! Knowing me Ill most likely pay more attention to what weave I’m gunna sew in my head, rather than the outfit, but I can assure you, IT WILL BE FABULOUS! And cheap! <Hayley> The lovely lot at Studio 8 are going to be dressing me. I am really excited! I’m kinda seeing a pattern forming – I reckon Studio 8 should just dress us all...that would be pretty awesome! Thank you to all of you for chatting with me, I wish you all the very best of luck, it’s an honour to be nominated alongside all of you. 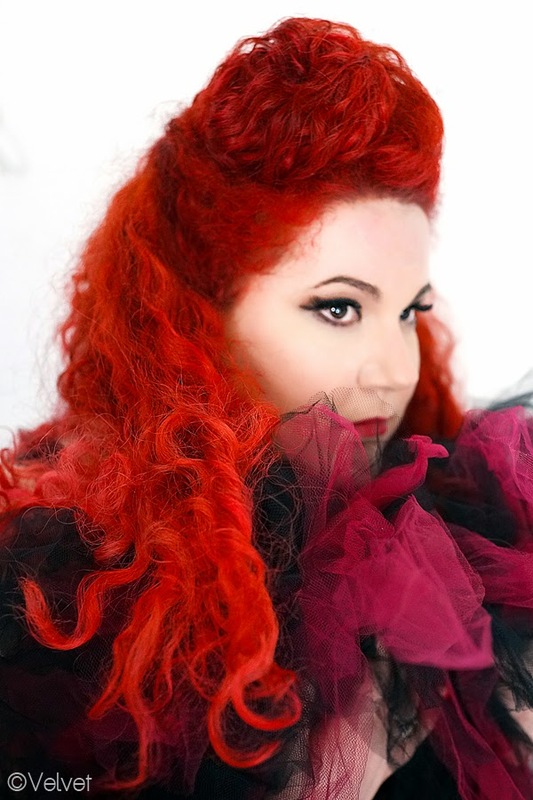 <Charli> Thanks for doing this Kat – you are an absolute star! See y’all on the night (if not before)!!! <Paige> Coolio, This was super fun. Thanks for reading. Please take a chance to go to www.bbyou.co.uk – I'm foulmouthed, but it’s all in good humour :) Always remember to #BBYOU! <Hayley> Can’t wait to party with you all at the event! There is also one other nominee; Hannah Boal, who unfortunately opted not to be involved.